The modern world has brought with it waves of technology that all require some form of power, generally in the form of electricity. Battery technology is still fairly limited, but solar collectors have reached new levels of efficiency that make them a viable option for powering devices on the go. 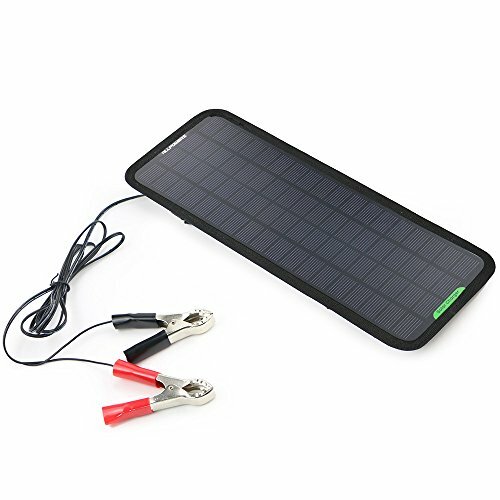 There are a wide range of portable solar charging kits that produce varying amounts of energy, so you’ll be sure to find a product suitable for your applications. 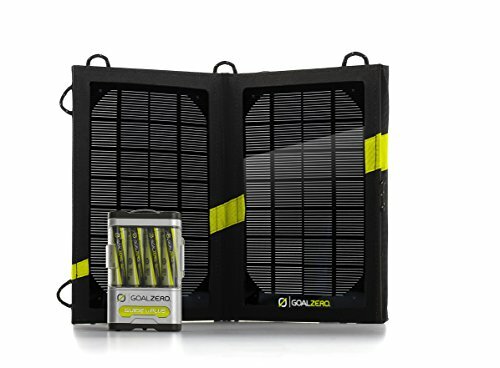 Below is a list of ten of the best portable solar chargers that are available on the market today. 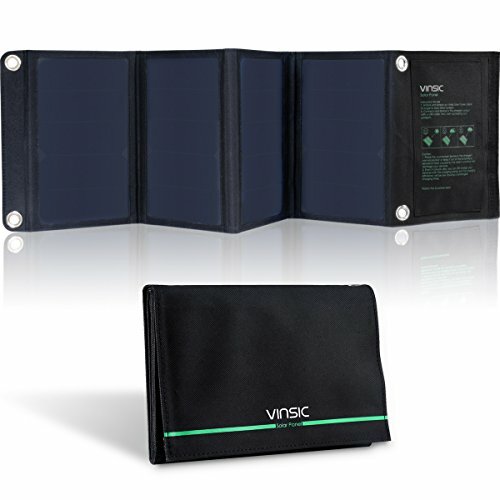 This highly efficient portable solar charger is made to handle all conditions. 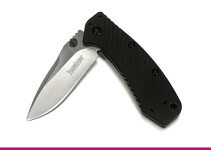 It is constructed from stainless steel and has a folding design for easy carrying and setting. There are also four hooks included that allow the panel to hang wherever it needs to catch the sun. There are two adaptive USB ports that can charge just about any standard USB devices simultaneously, like smartphones, tablets, laptops, and more. The body is water-resistant and sealed with nylon that prevents the growth of mold and mildew. The RAVPower is ideal for outdoor activities like hiking, camping, biking, and kayaking. If you aren’t satisfied with the device within the first 30 days, you can receive a full refund with no questions asked, and the charger has an 18-month replacement warranty. The ECEEN is exceptionally efficient at capturing solar energy. It reaches up to 22 percent efficiency, which is quite high for a portable mono-crystalline panel. This device actually sports two such panels and can simultaneously supply a total of 1.5A across 5V devices. 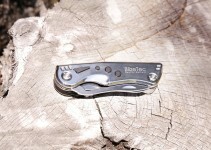 When folded into its travel size, it measures less than a foot long and weighs less than one pound. It includes four carabiners that attach along the edge of the panel with fourteen cloth hooks sewn into the rim. When folded, a zipper binds the panels together like the cover of a book, ensuring safe transport. The side of the ECEEN has a flexible nylon pocket that can hold your devices while they charge. This system is not only durable and prepared to take on the elements, but it also provides dual recharging capabilities. It can recharge USB devices or appropriate AA and AAA batteries thanks to the Guide 10 battery charging system. 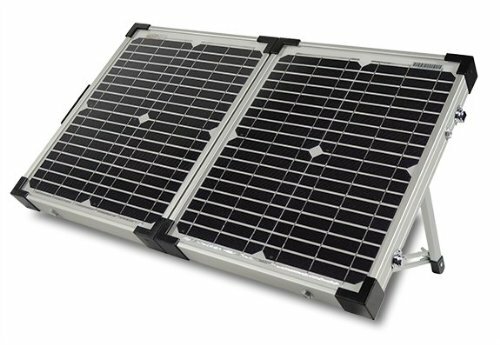 The solar panel is a Nomad 7, which works more efficiently than any other mono-crystalline solar collecting panel on the market. This unit comes with four rechargeable AA batteries, which can save you significantly on battery costs while protecting the environment from excessive battery waste. An LED flashlight is built into the top of the battery compartment, and it provides up to 150 hours of lighting per charge. 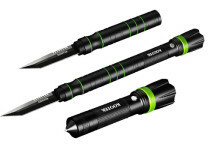 At only about ten inches long, the Goal Zero conveniently fits in your pocket or backpack. For those that need more serious portable power, this Go Power! kit is the perfect option. 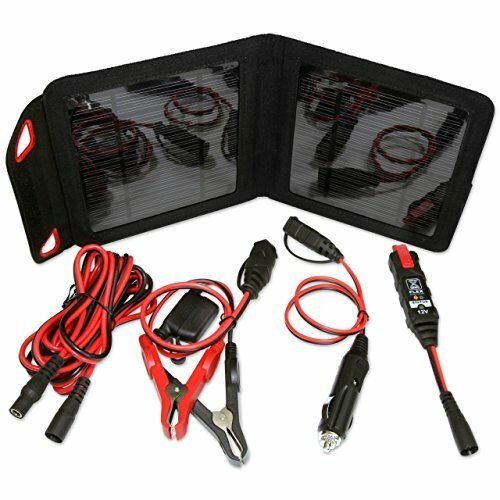 It is designed to recharge 12V battery systems, which is of great use in campers, RVs, and other recreational vehicles. With a 40W output, you’ll never have to worry about your batteries running out of power again. This device quickly connects to any 12V battery with the included battery clamps and ring style connectors. The system comes with a 25 year warranty, so you can rest assured that your device will last for as long as you need it. The included carrying case makes transportation a breeze and keeps the panel safe during travel. 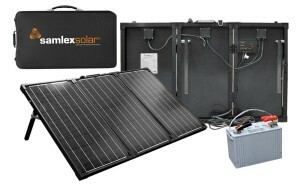 The 10A solar controller on the back of the panel regulates the power within the device, and the connecting cables are 15 feet in length for maximum reach. The ALLPOWERS charger is able to maintain the charge on a wide range of vehicle batteries, or any other 12V battery. It is easy to use as well, since it includes a cigarette lighter plug that allows you to charge your vehicle’s battery through the cigarette port. Alternatively, you can also recharge the battery directly via the included alligator clips. In either case, the recharger will remain safe thanks to the blocking diode that prevents reverse discharges. The system is made from strong plastics and provides protection against weathering. It can perform in all daylight conditions thanks to the efficient mono-crystalline panels. The device can mount to the inside of a windshield with attachable suction cups, or it can slip over the sun visor with flexible straps that hold the panel in place. The Vinsic approaches nearly 25 percent efficiency, making it one of the most efficient available today. 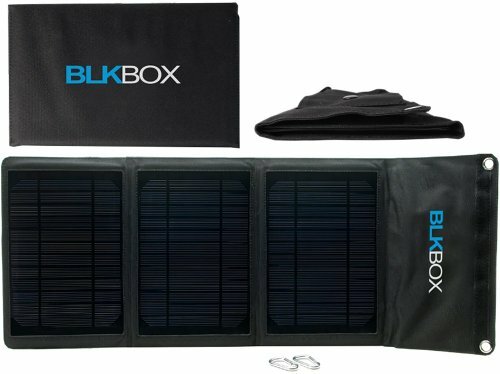 The solar panels themselves are lined with durable plastic and sewn together with dense polyester fibers that provide weather resistance and extended life expectancy. There are two USB ports that can charge simultaneous devices, but single charging works exceptionally faster. This is great for rapidly charging smartphones and other digital devices. No other charging is necessary for your handheld devices when you use the Vinsic charger, and it has no carbon footprint whatsoever. With the Samlex, you can capture the sun’s energy to recharge any lead acid 12V battery, like those that run your car, RV, boat, or other recreational vehicle. This kit comes with pre-wired battery clamps that make installation quick and painless, and the cables themselves are 16 feet in length for the longest reach possible. The carrying case for the Samlex charger is insulated to provide the ultimate protection during transport, and the legs of the unit are adjustable to maintain the highest exposure surface area possible. This versatile device is able to maintain a charge on your 12V automotive and recreational vehicle batteries, but it also provides charging for 6V batteries and USB devices as well. It has a sleek folding design that makes it perfect for travel, and it takes advantage of a whole host of technological features that make it one of the best chargers available, like overcharge protection, spark-proof construction, reverse polarity protection, over-current protection, and short-circuit protection. 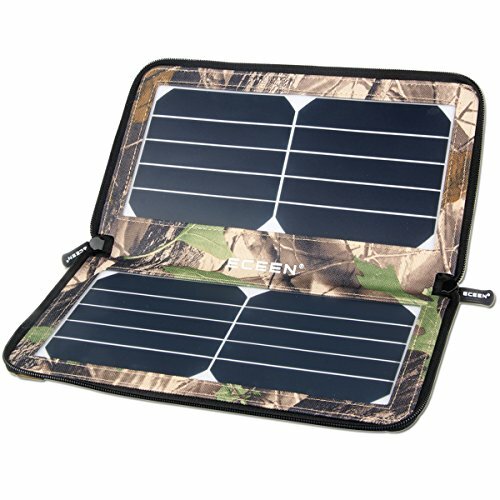 The NOCO uses plug-n-play technology to allow any appropriate device to instantly start charging from this solar panel. This ultra portable and slim charging kit provides power for portable devices including smartphones, tablets, GPS units, or essentially any USB device. It works well in emergency situations where power access is limited, or on the go when camping, hiking, or exploring the great outdoors. It comes in a variety of sizes that offer multiple levels of power output, from 5W to 12W. A 12W panel can fully charge the newest iPhone models in only two hours, and even as the most powerful panel, it still weighs less than one pound. The BLKBOX comes with a single USB output port, which provides singular charging at a rapid pace when placed in appropriate sun light. 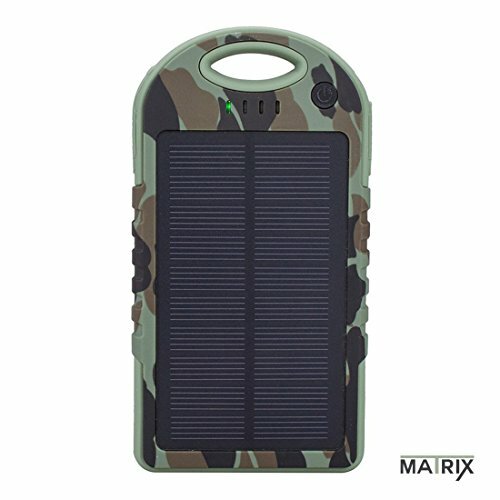 The Matrix provides solar collection and storage for up to 12,000mAh of portable power. 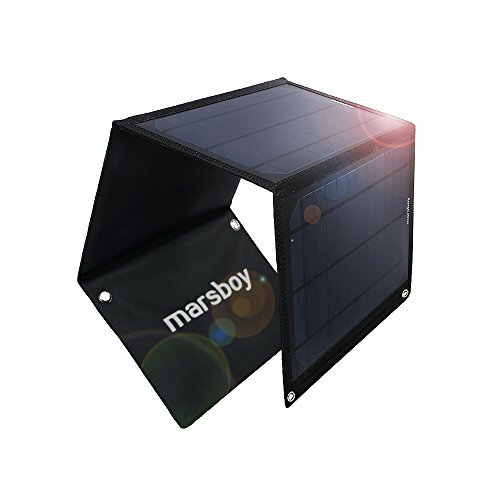 The solar panel continues to charge devices even when the battery is fully depleted, if the panel is placed in direct sun light. It has a durable construction with a body that is resistant to shocks, dust, and water. The Matrix comes with a carabiner to easily attach it to a backpack or other hanging location. Unlike other devices, this battery backup has 2 USB ports that can both rapidly charge your devices when the battery is fully charged. There is also an LED flashlight built into the top of the unit that helps locate lost items in the dark, or it can light your way.